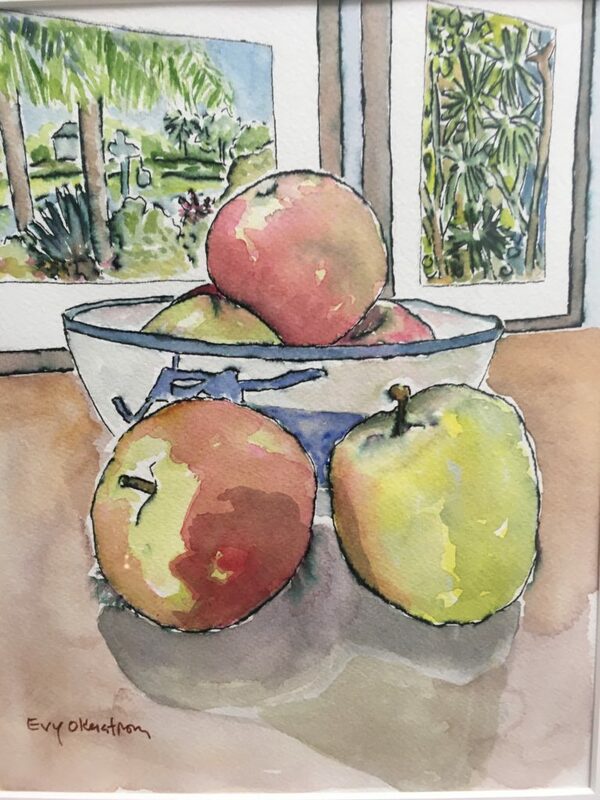 Watercolor painting has a reputation as a fussy medium that often produces muddled results. Evy’s instruction and technique will help you achieve the results you seek. After practice exercises, you’ll move onto painting pre-produced pen & ink landscapes. Two provided drawings per student allow everyone to proceed to great results at their own pace. Both beginners and experienced artists are welcome. You’ll leave with 1 or 2 completed works. If you love your results, Evy can direct you how to produce your own custom note cards!